I feel like it’s been baby shower central over here. Not only have I thrown 2, I’ve been to another, and I have 2 more that are on my calendar. One of my favorite parts of the planning process is finding the right invitation. I have scoured websites before trying to find the invitation that helps set just the right tone for the theme of the shower or event I’m throwing. Recently I found Basic Invite and they are great! They have a card or invitation for pretty much any event you can think of! Peyton’s room is Safari themed, and I love young kids love of animals. I really am hoping I get to throw a shower in the near future that I can tie in with a safari theme. Basic Invite offers a ton of safari baby shower invitations. I really love the idea behind a safari themed because it can easily be customized for a boy or girl shower, or can remain gender neutral! 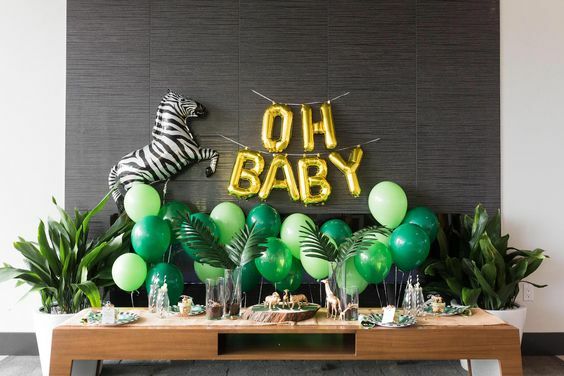 I always head to Pinterest to get party inspiration and I am loving these ideas for Safari Party decor. Anyone who knows me knows I’m a big fan of anything tropical. My go to for this theme would be fake Palm & Monstera leaves for vases, some fresh tropical flowers (my fave are from The Bouqs – you can order a bouquet with mini pineapples!!!!! ), and green and gold decor mixed with some animal accents. Based on the theme I would go for, I would use this for my invitation. I really want to try a balloon garland at some point. I love the look but have yet to try making one. The photo below is from an editorial shoot that was done for a baby shower. It provides some amazing ideas! 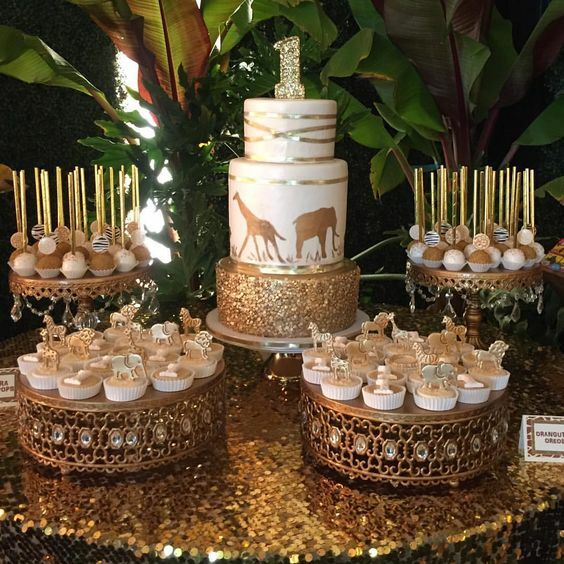 This dessert table is amazing. How freaking gorgeous are they! It’s for a 1st birthday but could easily be modified for a baby shower. I also love this one. Click the photo for a link to the original site where you can buy everything needed to recreate this look. Last but not least you I love this idea for favors! 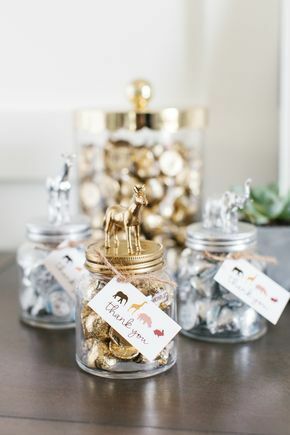 Cute little jars topped with animals that you could fill with anything. 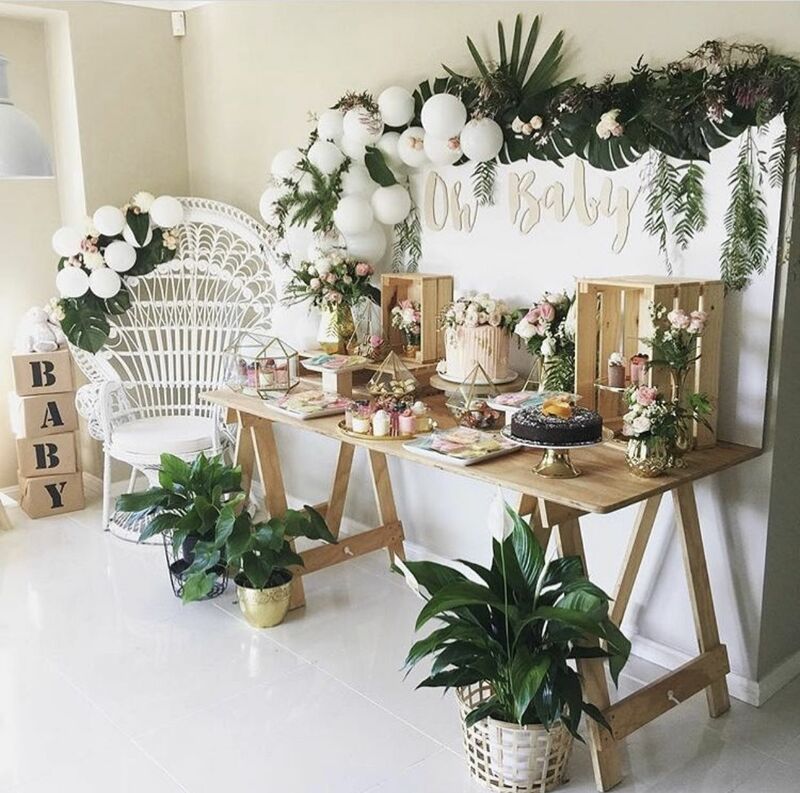 You can follow me on Pinterest where I have a whole board dedicated to Baby & Wedding shower themes and ideas. Why I Love Basic Invite? The first reason I really liked this company was for the fact that you can order custom samples. I find this is pretty rare that you can actually get a custom printed sample one to really see how your invite will look and feel. A lot of websites I’ve used in the past have only offered digital sample or proofs. Lastly – they offer foil cards. I’m such a huge fan of foil on cards… I can’t order a Christmas card without gold or red foil. They offer foil in silver, rose gold and gold. How would you style a safari party? 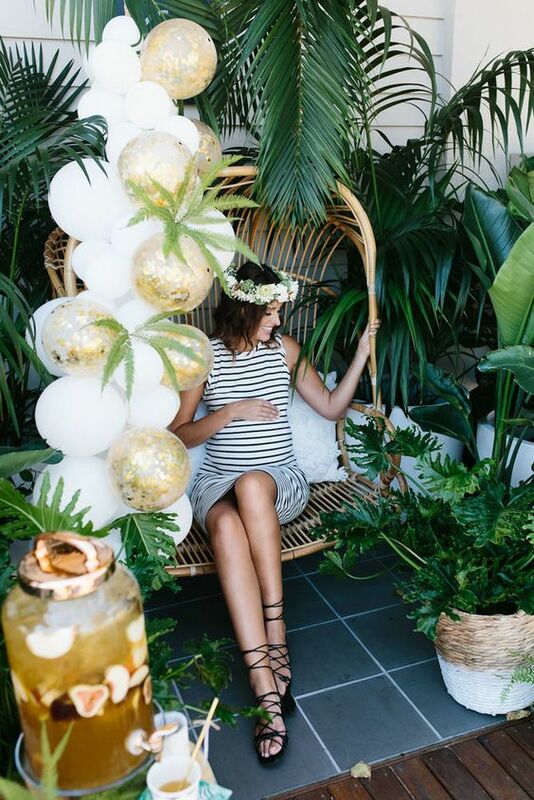 I feel like I would go very gender neutral but kind of glamorous with the gold accents, which is fine even for a boy because every new Mom deserves a little sparkle when you’re celebrating her! Disclaimer – This post was sponsored by Basic Invite, however the opinions expressed above are my own. Wow! These are all awesome ideas! And that invite is just too cute! Omg I love love this theme!! Never gave Safari theme a chance before lol. But seeing these pics inspire me. I have a few friends with babies on the way and this would be a great idea to toss around.